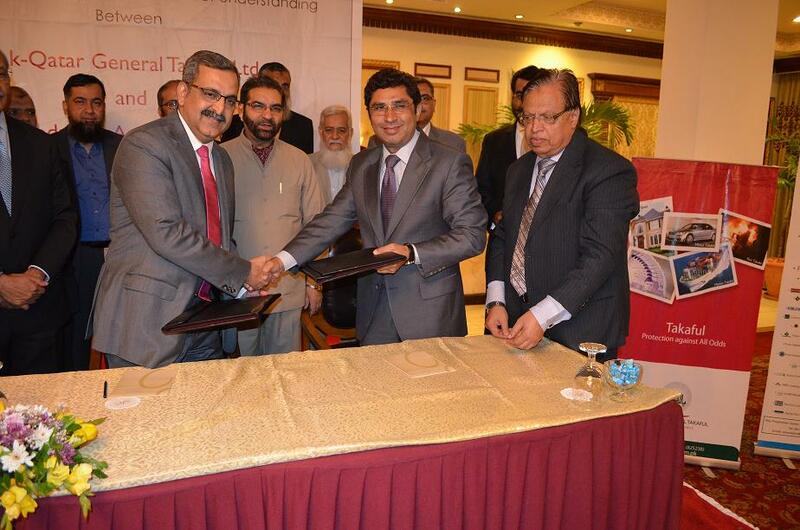 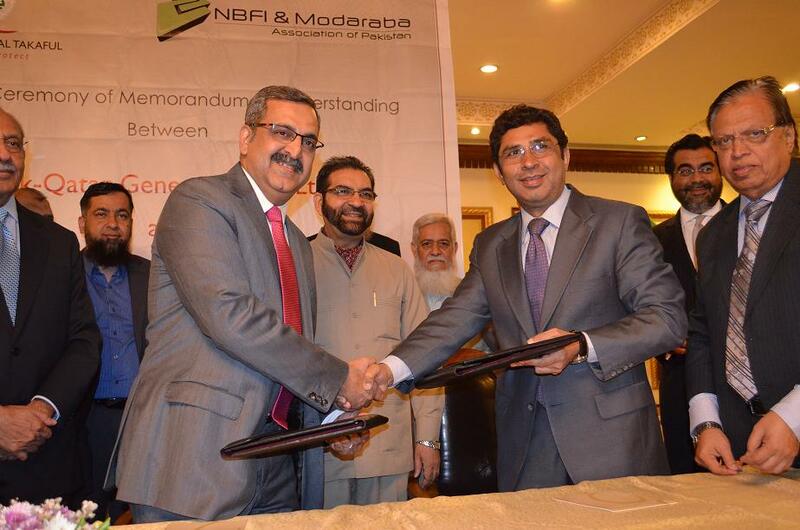 NBFI & Modaraba Association of Pakistan & Pak-Qatar General Takaful Limited signed an MoU on 30th September 2015 for providing Takaful coverage on the basis of Islamic modes to the members of the Association. 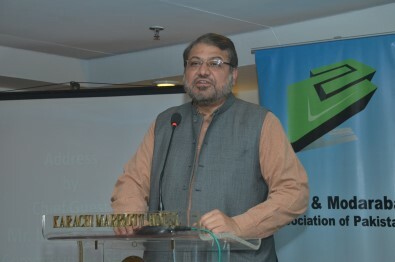 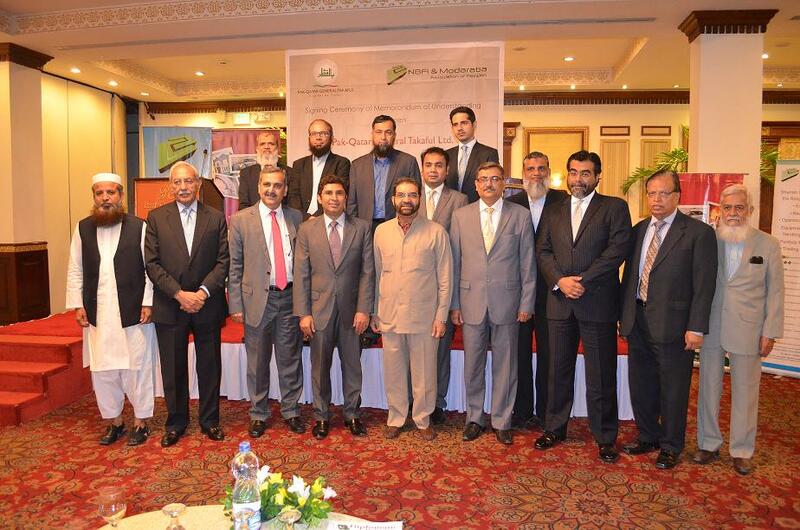 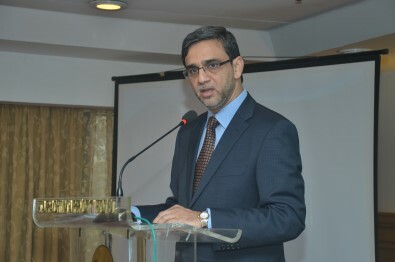 Mian Muhammad Adrees, President, The Federation of Pakistan Chambers of Commerce & Industry was the Chief Guest of the above event which was largely attended by the Senior Officials of Modarabas and Takaful sectors. 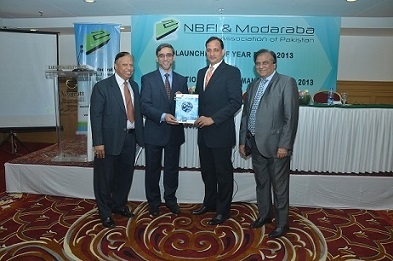 During the year 2014-15 two new members joined the NBFI & Modaraba Association of Pakistan one Leasing Company and one Modaraba. 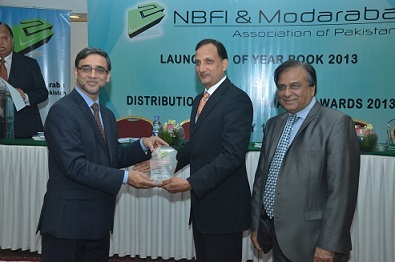 The Association welcomes them in the fraternity of NBFI & Modaraba Sectors and present to them Welcome Shields. 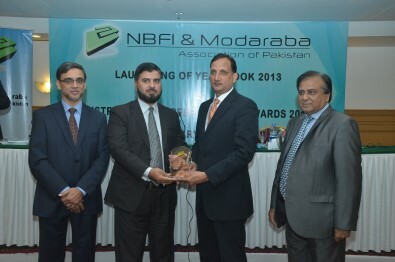 NBFI & Modaraba Association of Pakistan organized a launching ceremony of Year Book 2013 on Friday the 10th Jan 2014 at Karachi Marriott Hotel. 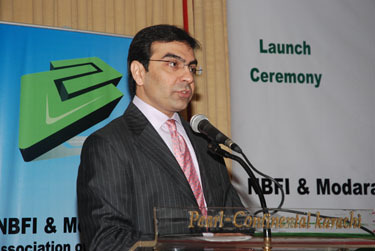 Mr. Imtiaz Haider was the Chief Guest. 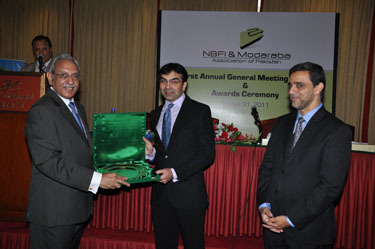 Mr. Murtaza Ahmed Ali, CEO, received the Award. 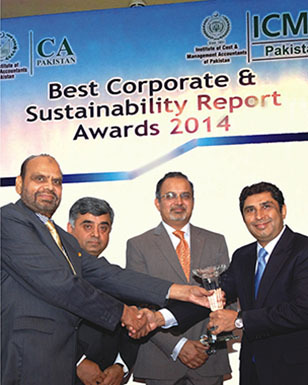 Mr. Teizoon Kisat, CEO received the Award. 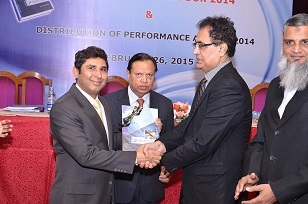 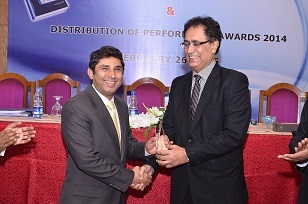 Mr. Ahsanullah Khan, CEO received the Award. 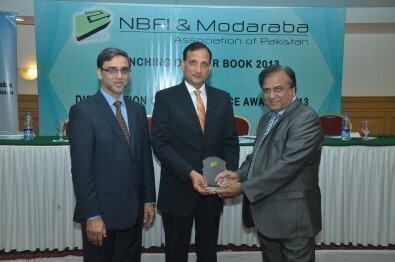 Mr. Muhammad Asif, CEO received the Award. 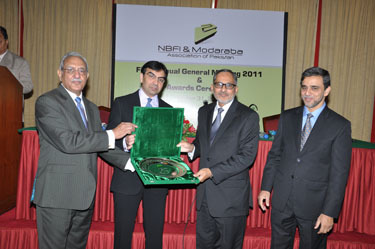 Mr. Raheel Q. Ahmad, CEO received the Award. 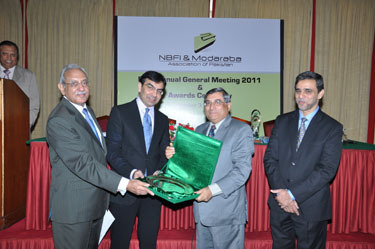 Mr. Nayyar Javeed, General Manager received the Award. 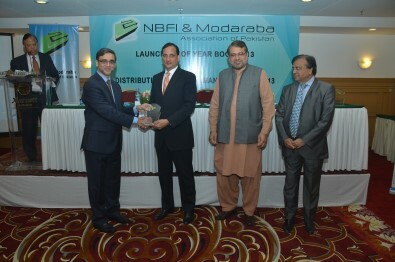 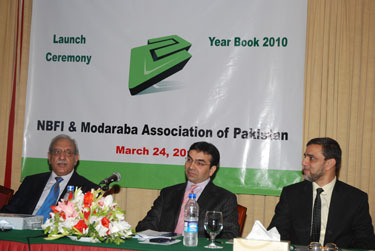 NBFI & Modaraba Association of Pakistan organized a launching ceremony of Year Book 2011 on Monday the 21st May 2012 at Karachi Marriott Hotel. 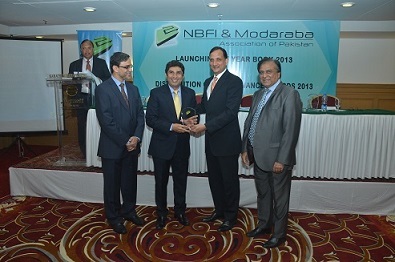 Mr. Jawed Hussain, Registrar Modaraba was the Chief Guest. 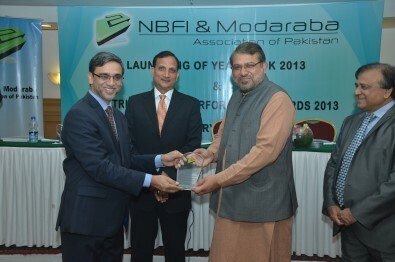 NBFI & Modaraba Association of Pakistan awarded a trophy to Standard Chartered Modaraba on its completion of 25 year of business operations. 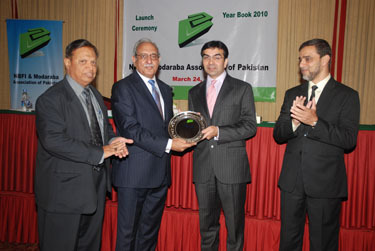 Mr. Jawed Hussain, Registrar Modaraba, SECP awarded the trophy to Mr. Raheel Qamar Ahmad, CEO, Standard Chartered Modaraba in a ceremony held on Monday the 21st May 2012 at Karachi Marriott Hotel. 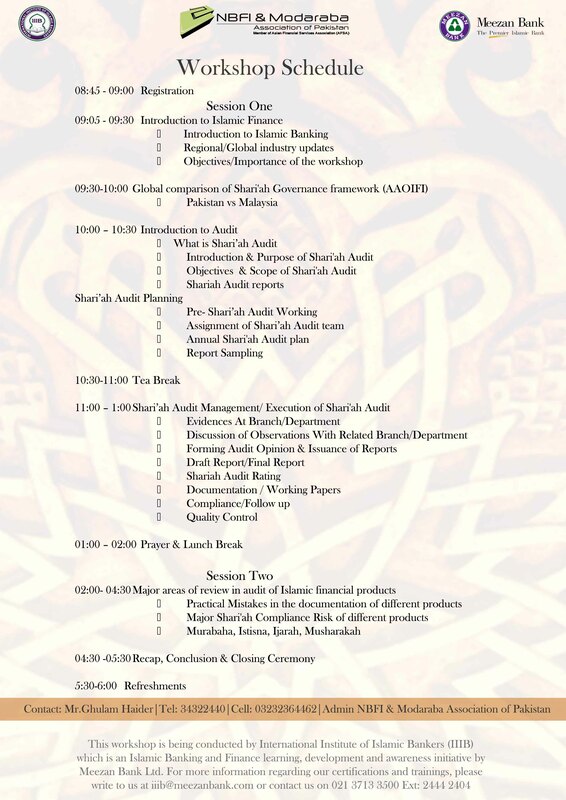 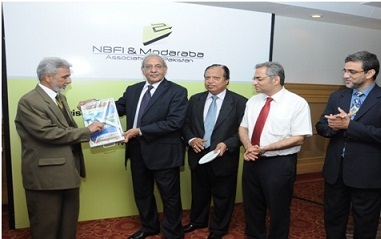 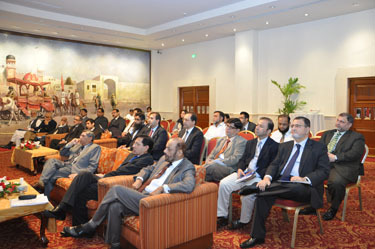 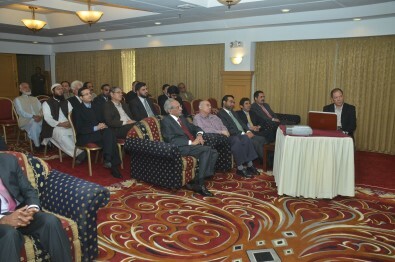 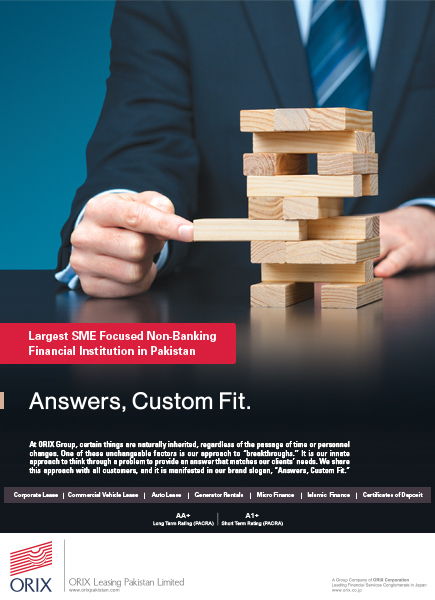 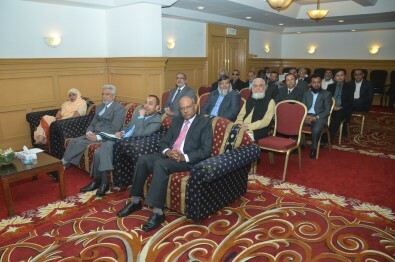 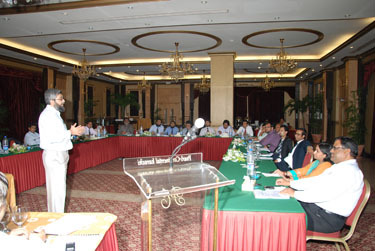 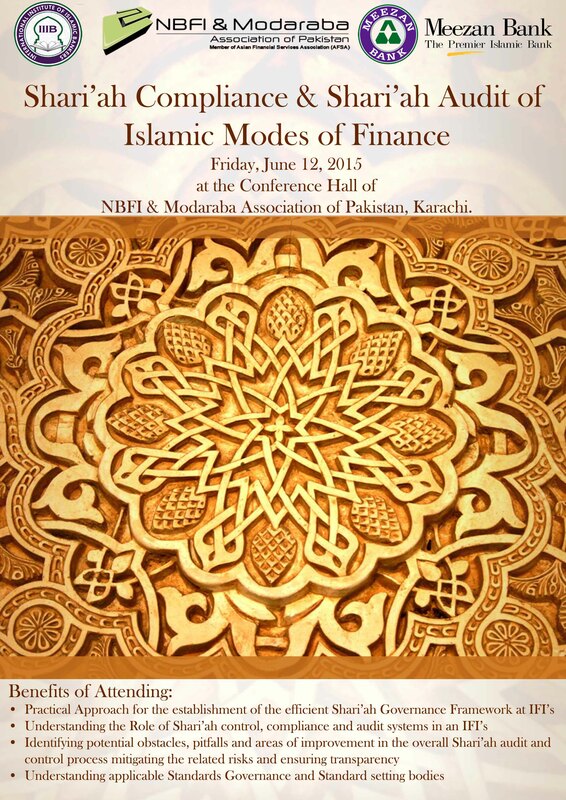 NBFI & Modaraba Association of Pakistan organized a Seminar on “Revised Code of Corporate Governance” on Monday the 21st May 2012 at Karachi Marriott Hotel. 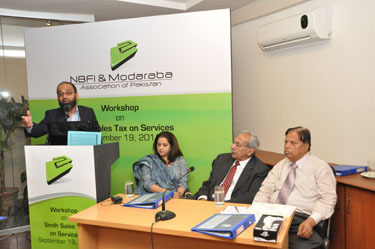 Syed Asad Ali Shah, Managing Partner, M. Yousuf Adil Saleem & Co. Chartered Accountants, a member of Deloitte Pakistan, conducted the Seminar. 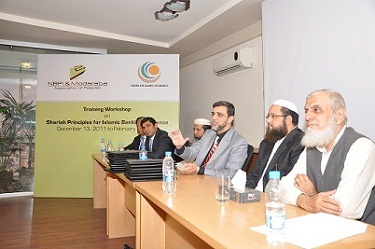 Maulana Abdul Aziz conducting the workshop. 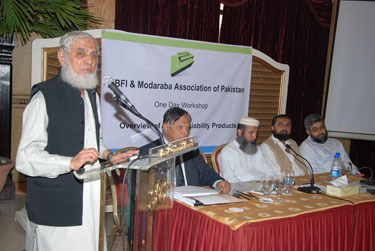 Mualana Abdul Aziz, addressing the participants of the workshop. 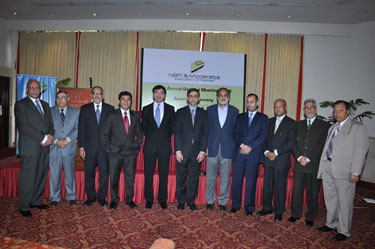 L-R: Mr Muhammad Samiullah, Mr Abdul Sattar Laghari, Mr Basheer A. Chowdary, Mualana Abdul Aziz, Mr Abdul Ghaffar Umer. 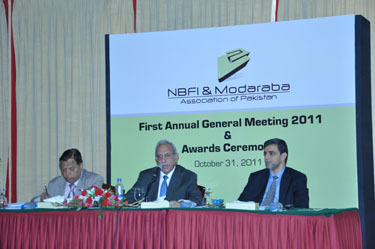 First Annual General Meeting of NBFI and MAP. 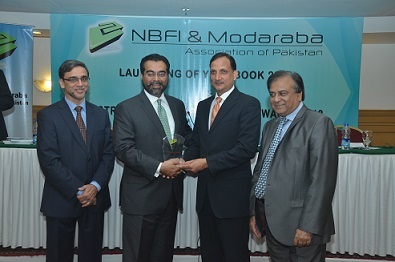 L-R: Mr. Muhammad Samiullah, General Secretary, Mr. Basheer A. Chowdry, Chairman, Mr Murtaza Ahmed Ali, Vice Chairman, NBFI & Modaraba Association of Pakistan. 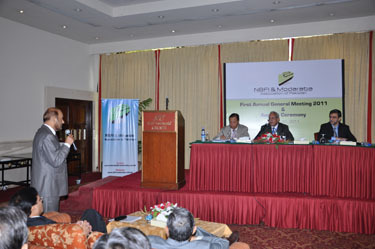 Mr. Basheer A. Chowdry, addressing the participants of Annual General Meeting. 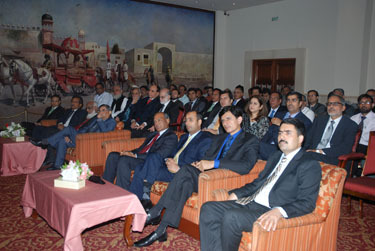 A view of participants of Annual General Meeting. 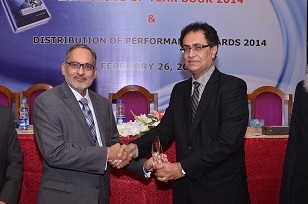 Mr. Murtaza Ahmed Ali, CEO Allied Rental Modaraba, receiving award from Mr. Muhammad Ali, Chairman SECP. 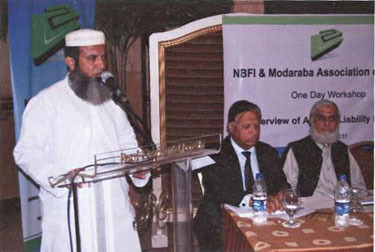 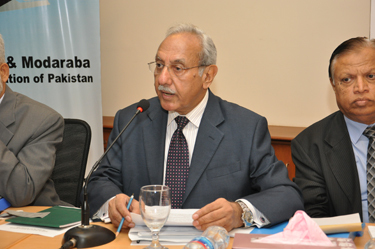 Mr. Basheer A. Chowdary, Chairman NBFI & Modaraba Association of Pakistan, also seen in picture. 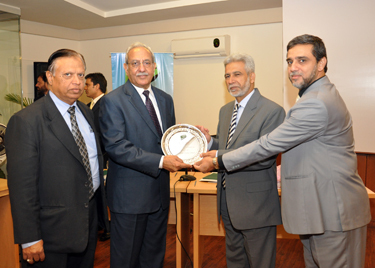 Mr. Rafiq Dawood, Chairman B.R.R Guardian Modaraba , receiving Shield from Mr. Muhammad Ali, Chairman SECP. 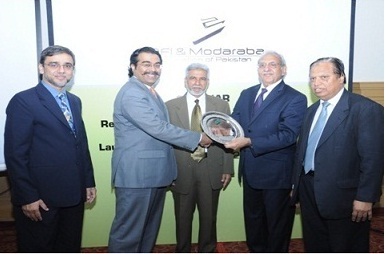 Mr. Muhammad Shoaib Ibrahim, CEO First Habib Modaraba, receiving Shield from Mr. Muhammad Ali, Chairman SECP. 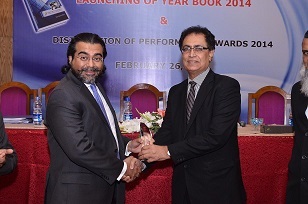 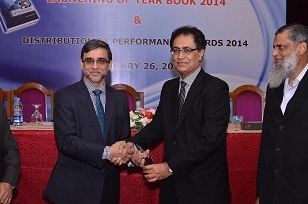 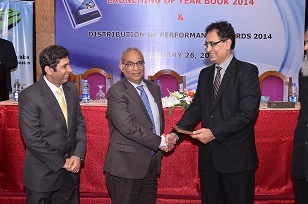 Mr. Muhammad Ali, Chairman SECP, presenting Shield to Mr. Teizoon Kisat, CEO ORIX Leasing Pakistan Limited. 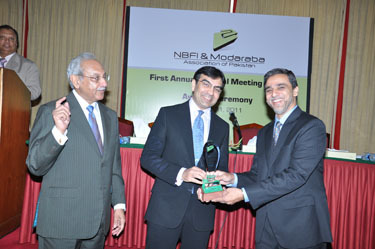 Mr. Basheer A. Chowdary, presenting a memento of the Association to the Chief Guest Mr. Muhammad Ali. 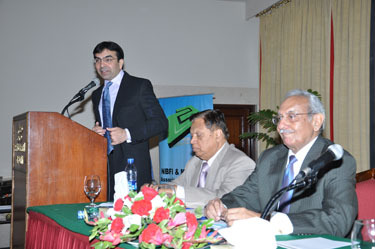 Mr. Muhammad Ali addressing to the participants of the ceremony. 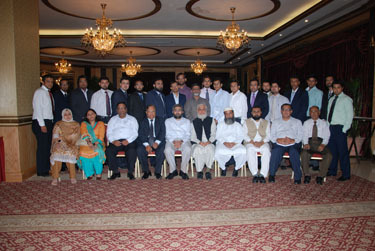 A group photo of the recipients of awards with the Chief Guest and other Executives. 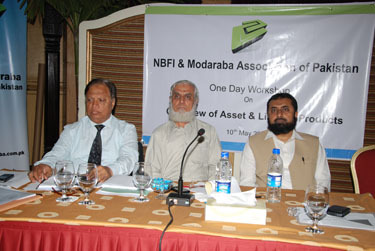 Meeting of Chief Executive of Modaraba with Mr. Javaid Hussain, Registrar Modaraba. 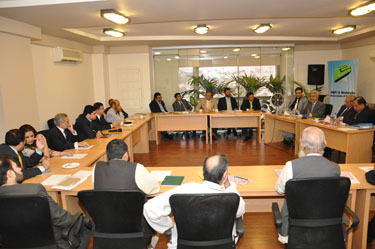 A view of the participants of the Meeting. 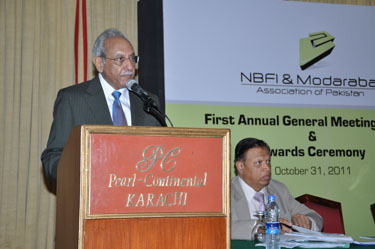 Mr. Basheer A. Chowdry, Chairman NBFI & MAP presenting his welcome address. 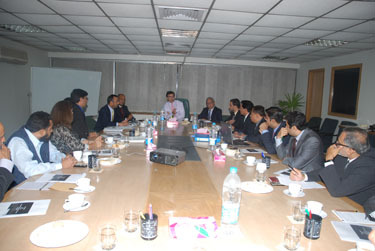 A view of participants of the Meeting. 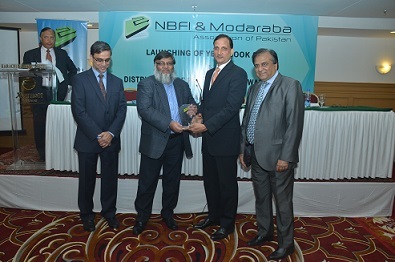 Mr. Basheer A. Chowdry, Chairman NBFI & MAP,presenting a memento to Mr. Jawed Hussain, Registrar Modaraba, Mr. Murtaza Ahmed Ali, Vice Chairman & Mr. Muhammad Samiullah, Secretary General are also seen in the picture. 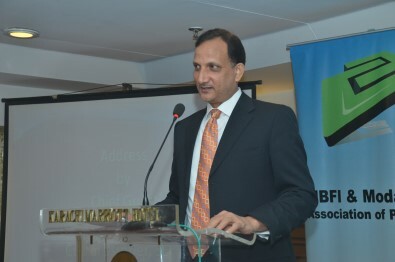 Mr. Jawed Hussain, Registrar Modaraba SECP, addressing the audience. 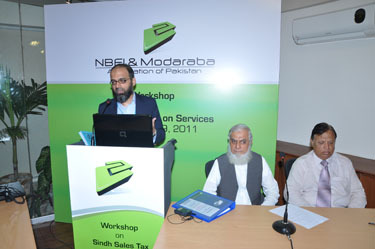 Workshop on Sindh Sales Tax. 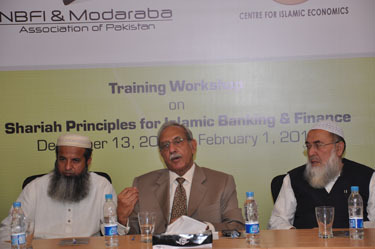 Mr. Adnan Mufti, conducting the workshop, Mr. Abdul Ghaffar Umer and Mr. Muhammad Samiullah are also seen in the picture. 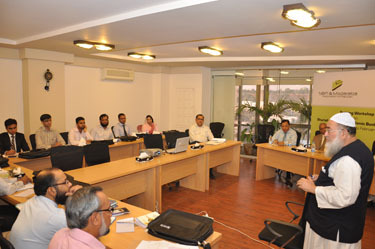 Mr. Adnan Mufti, addressing the participants of workshop, Mr. Basheer A. Chowdry, Mrs. Arjumand A. Qazi and Mrs. Muhammad Samiullah are also seen in the picture. 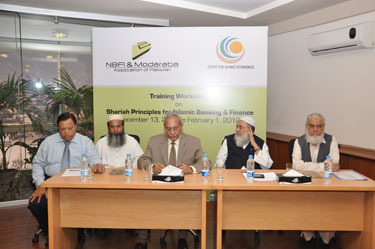 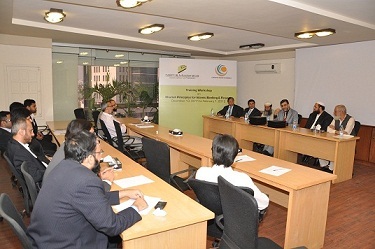 Mr. Basheer A. Chowdry, Chairman NBFI & MAP, addressing the participants of the workshop. 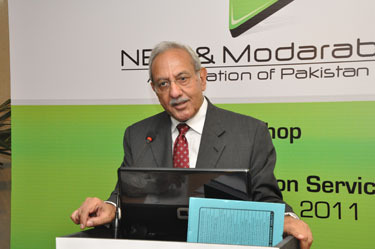 Mr. Abdul Ghaffar Umer, Chairman, Workshop committee inaugurating the workshop. 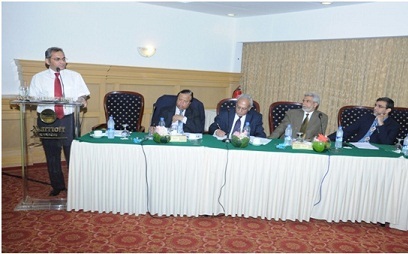 L-R: Mr. Muhammad Samiullah Secretary General, Mr. Abdul Ghaffar Umer, Chairman Workshop Committee, and Mr. Zulfiqar Ali, CEO, Modaraba Al-Mali. 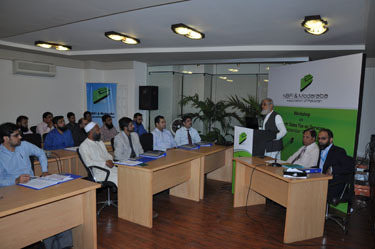 Mr. Omer Mustafa Ansari conducting the workshop. 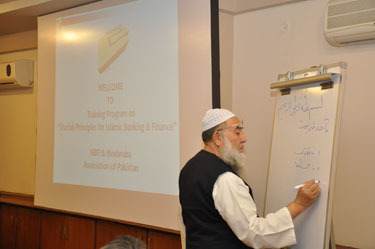 Mufti Abdul Sattar Laghari Conducting the workshop. 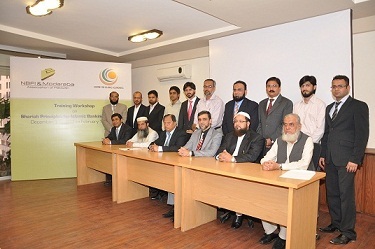 A group photo of the participants of the workshop. 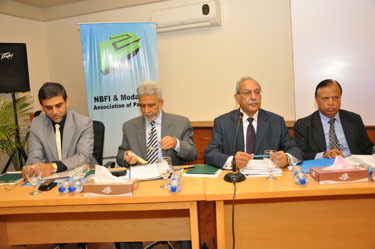 Mr. Basheer A. Chowdary, Chairman NBFI & MAP(left), Mr. Muhammad Ali, Chaiman SECP(MIddle) and Mr. Murtaza Ahmed Ali, Vice Chairman NBF I (right). 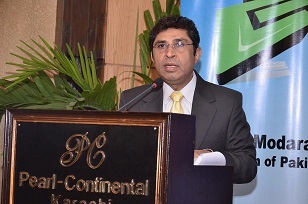 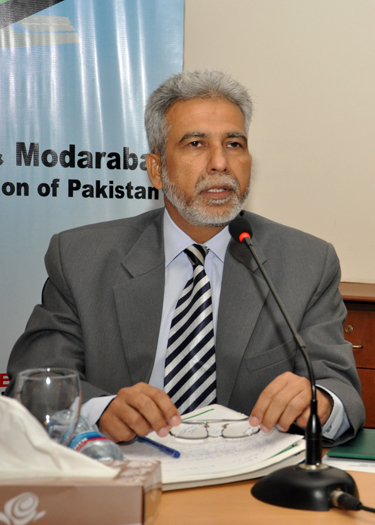 Mr. Muhammad Ali, Chaiman SECP, addressing to the participants. 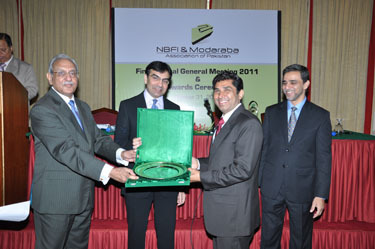 Mr. Basheer A. Chowdary , Chairman NBFI & MAP, presenting shield to Mr. Muhammad Ali, Mr. Samiullah and Mr. Murtaza Ahmed Ali, also seen in the picture. 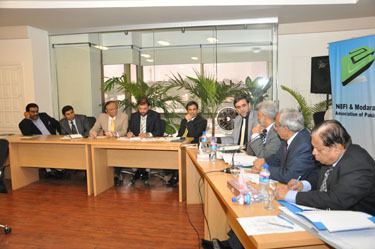 A view of meeting with Mr. Muhammad Ali, Chaiman SECP. 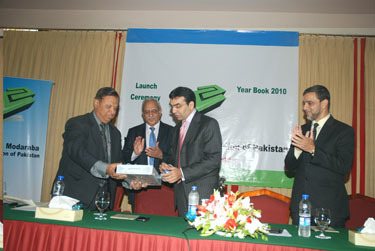 Mr Samiullah, Secretary General NBFI Modaraba, presenting yearbook 2010 to Mr. Muhammad Ali, Mr Chowdary Basheer and Mr. Murtaza Ahmed Ali, also seen in the picture.